AppsBazar is one of the products of LOCUS RAGS. It is an application builder platform which gives you a customized application for mobile which will be useful for the different domain basis like real estate, retail, catering, gym, etc. By the help of our application development service for mobile, you will be able to work smoothly and collaboration with your workforce in integrating the different types of functions. 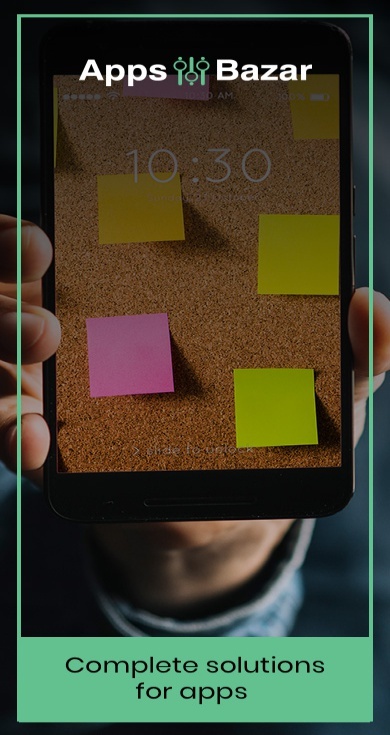 Our methodologies of working are very flexible and allow us to provide you a mobile application as per your requirement in an effective and efficient manner. We offer you a multi-device seamless experience and ensures that you stay one step ahead always from your competitors in each and every aspect. We also help you reach the heights of success without any problem. At apps bazaar, we understand how a mobile application will be helpful in the success of the business. We know the reach of a mobile application which can change the style of working of a company and can lead to growth in the profits of a business. We ensures that we help you to achieve your organizational goals which is the end point of any company and highly necessary to focus on. Our team of highly expert mobile application developer always provide you the mobile application which are easy to integrate and does not allow any unwanted or malware to breach into the security of the application. Our applications are not naturally generic and it really helps in you in improving the image and market reach of your brand is really important for each and every company which opens up to each profit. It improves the visibility of your company and encourage customer to buy your products which will eventually leads in the growth of your brand or company. If you plan for the expansion of your business, the application for mobile is developed by the pool of our experts technicians who let you perform you work in an effective and efficient manner. The mobile application which is created by us is of very high scalable in nature and works for the same purpose even if you desired to grow. There is no need to invest most of your resources if you want to do so and can drift your focus on various aspects of the business. The apps bazar will enable the partners of channel who are equipped with trending technology so that you can communicate and connect with more than 1 customer which increase the level of satisfaction and bonding with other people. The apps bazar make the retailers enable with the technology and ensure that they make association with their customers which remains seamless. Our mission is to create mobile application a type of platform which shows the true essence of the company and helps in describing the value, culture and way of working of the company. We are the best in making the mobile application for the companies and take their profits to different level. We are here with the mission of empowering the companies by providing them the best platform to interact with their potential customers without any physical appearance. 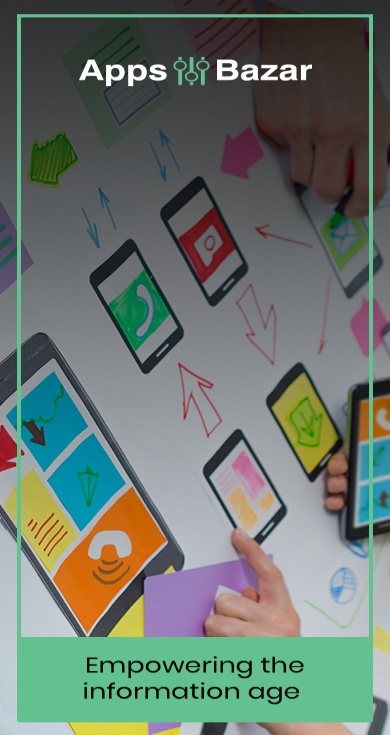 Smartphone application development – The application bazar team of developers is one of the best team which develops highly reliable and dependable. 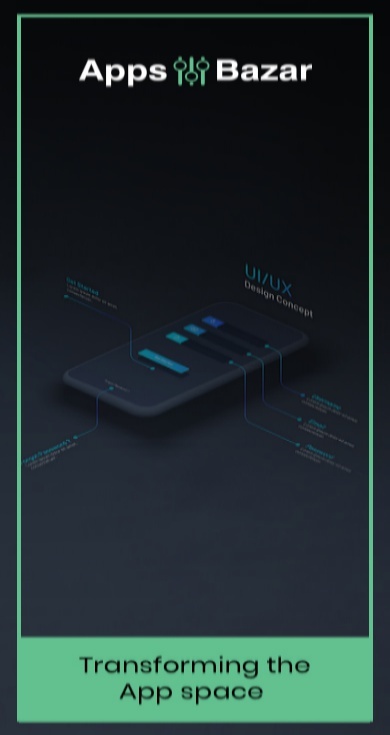 We have created a fully loaded android application which can be used in the diversified fields such as business, healthcare, technology, media and entertainment just to name some of them. We always take care of the type of your business, whether your want to create an application for mobile that are standalone, online server driven, client-server or database driven. We have a team of highly experienced and skilled members for the development of the mobile application. Mobile application developers: The apps bazar is one of the leading mobile application development companies which are very dedicated towards its production of application. We create the application with high level of performance, fully loaded with features and can be transformed digitally. We create the application for every type of platform like android, BlackBerry OS, Windows Mobile and iOS. The usage of the mobile application has been increased from past few years. People use these applications every day to continue their business or any work related to business. Companies take advantage of these applications to reach their target customers so that they can increase their customer reach and the level of profit. HTML5 mobile development:The apps bazar is the expert in building the application with innovation and applications which are digitally transformative and gain some experience by the use of HTML5-based framework such as AngularJS, SproutCore, Ember js, PhoneGap, Sencha, Backbone js and many more. The solution of HTML5 mobile is developed by the experts of our team who creates the mobile HTML5 and web application developers are able to create cross-platform, capable of functioning seamlessly over and across all types of devices and services platform. We carefully observe the requirements and fulfil all the requirements effectively and efficiently. AppsBazar is a place of which applies innovative approaches towards developing the mobile application. We provide technical leverage to the market which is vast and distributed and includes various types of local vendors. We are giving a platform to the vendors by creating an application which can be used in Smartphone for business purpose. We are the leaders of creating the domains at online Bazar. We are the leading members of this field which can change the future of any company by adding some extra and unique factor in the application.